cPanel is the industry standard and leader when it comes to web hosting management software. Most people will even ask for it when they are looking for a hosting provider for their websites. But the reality is that most of them really do not understand what cPanel is and why they need it. Some even think that cPanel is a type of hosting service like VPS (Virtual Private Server). cPanel is a web-based control panel that is used for managing your web hosting service accounts. It provides you with the tools that you need in order to successfully create, administer, and manage your websites using your favorite web browser. The software allows you to set up email accounts, create FTP accounts, setup up CDN’s, create domains and sub domains, and plenty of other things that you need to successfully run your websites. Basically, cPanel is a handy tool that you need to ensure that your web hosting experience is as comfortable as it can be. Because without it, managing a website will be stressful and difficult at best. Now that you have a basic knowledge of what cPanel really is, the next question in your mind would probably be why we need it and why can’t we use other web based control panels to manage our sites. The answer to that question is simple. We need cPanel simply because it is the best web based control panel in the market. No other web hosting management software has even come close to the features and functionality that it provides. 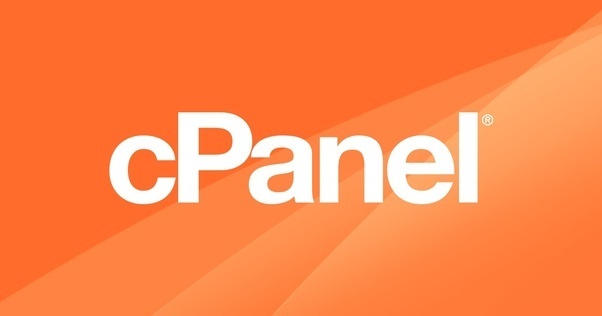 To get a better understanding of what we are talking about in this article, here are 3 of the reasons why cPanel is the best hosting management software in the market today. cPanel uses a clear-cut and simple interface that is a dream to work on. Every type of users, from newbies up to veterans, will definitely be happy with how easy website tasks are done using cPanel’s interface. Editing your website, creating databases, managing Cron jobs, and allocating space for your pages can be done in minutes. Every task that you require can be accomplished through the click of the mouse. It is so simple and easy to use that everyone can master it in a short period of time. cPanel developers have made sure that installing and uploading files, plugins, and other applications using their software can be done by every type of users, even those that have no technical training or background. cPanel’s dashboard is user-friendly and walkthrough information and built-in tutorials are readily available and accessible to everyone. When you use cPanel, you are practically risk-free. The software is developed to make sure that users can’t do anything that can cause significant damage to their websites or servers, no matter what they click on. The 3 features stated above are enough reasons why you need cPanel as your preferred web hosting management software. Choosing another would simply be counter- productive and unwise.